Throughout the year, many types of fresh fruit are prominently on display in the produce departments of most grocery stores and supermarkets; for people who include and enjoy a variety of fruit within their diets, this certainly adds an element of convenience to their shopping routines. A downside, perhaps, is that any type of fruit taste-testing is usually frowned upon by store managers and other shoppers; this means it could be hit-or-miss with respect to the flavours and textures of the pieces of fruit that they actually select. Setting aside the fact that some varieties of fruit have to be imported, people who prefer locally-grown products whenever possible, and also want assurances about the taste and quality of those products, could find a viable solution by planting fruit trees in their own backyard. And though it might take a few years to enjoy the fruits of their labours (pun intended), fruit tree planting and care, when done right, can not only generate abundant and tasty crops but also produce substantial feelings of accomplishment and satisfaction. Erect a chicken wire barrier around each tree to deter any rabbits, pets, etc. Of course, merely planting the fruit trees will not guarantee the production of any crops; regular care and attention is required, particularly with saplings (i.e. 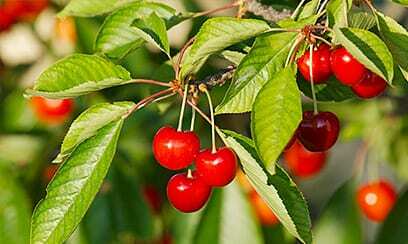 young fruit trees) in in order to promote and sustain their health and fruit-bearing capacity moving forward. Proper planting and ongoing care can result in better and more generous crop production from fruit trees. But this requires a commitment of time and effort by a property owner, at the appropriate times of the year, in order to achieve the desired results. While many homeowners might like the challenges of planting and maintaining their fruit trees, others might simply want to enjoy the end results without investing in the planting and care steps; under these latter circumstances, they may find benefit in capitalizing on the expertise of a professional tree services provider such as DreamWorks Tree Services. Consequently, contracting DreamWorks Tree Services may provide the ideal solution for area residents who prefer to grow and eat their own fruit but may not have the time, the tools, and/or the inclination to learn how to plant and care for fruit trees. For further information on the complete range of tree services provided by DreamWorks Tree Services. For the care and maintenance of your fruit trees, from planting to seasonal pruning, call the specialists from DreamWorks Tree Services today at 647-793-8903 or contact us to book your free consultation and property assessment.